Athletics Canada announced today the names of 63 athletes who will represent Canada at the 2015 Pan Am Junior Track and Field Championships later this month in Edmonton. Grande Prairie’s Mirelle Martens has been selected to contest the 3000m. Martens qualified for the team based on achieving the Jr Pan Am standard time of 9:50 plus her placing in the recent 2015 Canadian Junior Track and Field Championships. She becomes the first Grande Prairie athlete since the late Jeff Halvorsen to earn a spot on the Junior National team. Halvorsen represented Team Canada in 2000 in the Canada-US Challenge Junior meet. The Pan Am Junior meet will attract over 500 athletes from 38 different countries from North America, South America, Central America, and the Caribbean. It takes places from July 31 to August 2. Martens’ race goes Friday, July 31 at 7 p.m. 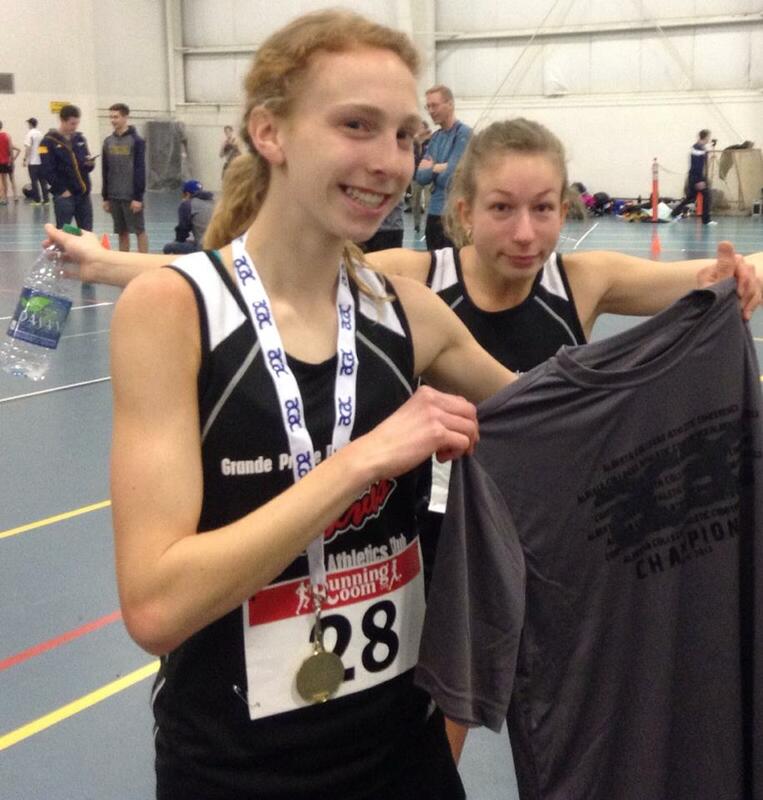 This entry was posted in Outdoor Track and Field and tagged Athletics Canada, GPRC Wolves X-C Running, Grande Prairie AB, mirelle martens, Pan Am Juniors Track and Field, Track and Field, Wolves Athletics Club. Bookmark the permalink.